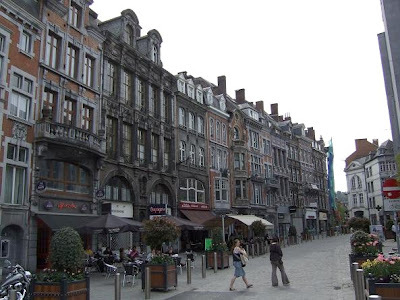 The White House was one of the few buildings that survived the bombardment in 1940, which destroyed the city completely. 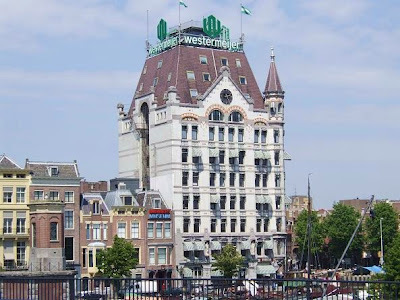 When it was built in 1898, the White House was the first high-rise building in Europe. 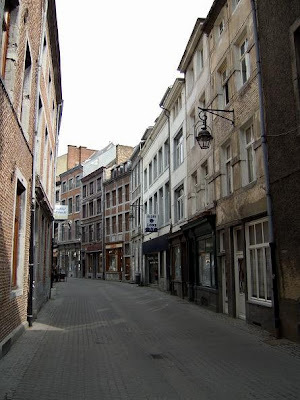 At that time buildings where constructed with traditional bearing walls. 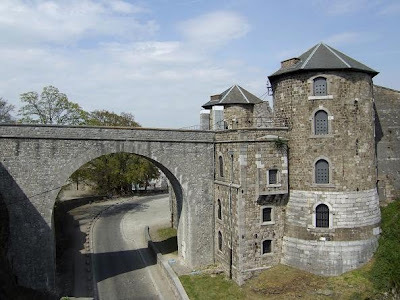 Because of this, the walls at the cellars are 1,4 m thick. 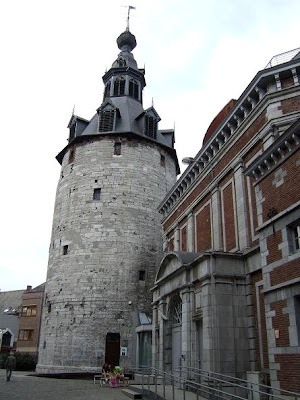 Towards the top, where they bear less weight, they are 40 cm thick. 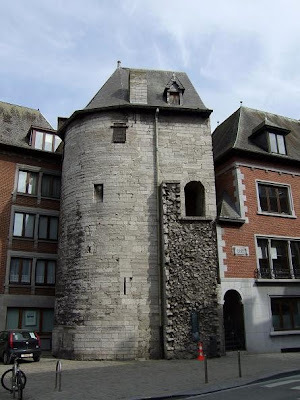 With a height of 45 m, this 11 story building was very popular with the locals. 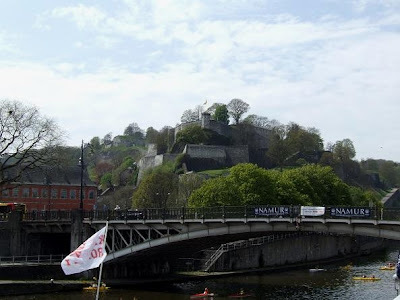 They enjoyed a beautiful view from the platform on the roof which was open to the public. 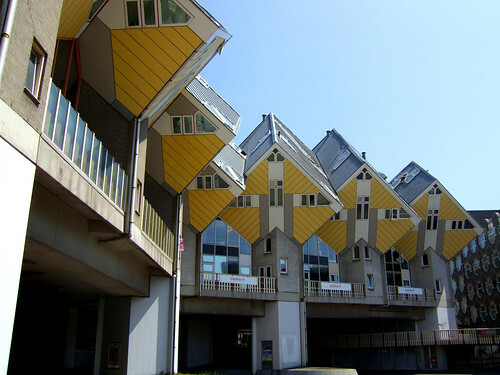 Designed by Piet Blom in 1984, the cube houses are one of the most famous buildings in the world. 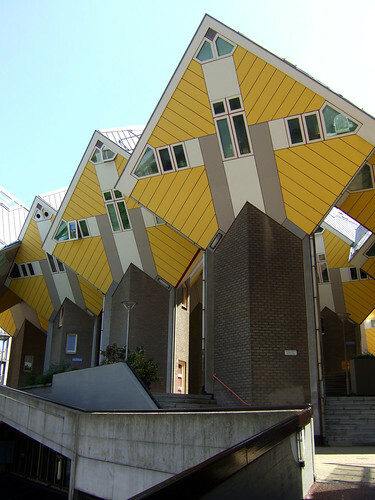 The 32 houses are tilted 45 degrees, contain 3 floors and have a total area of 100 square metres. 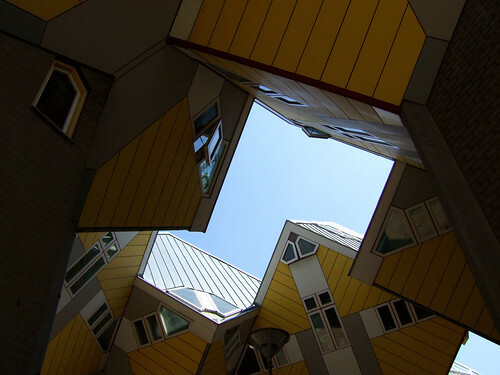 The concept behind these cubes is that Piet Blom tries to create a forest with each cube representing a tree, therefore the whole village becomes a forest. 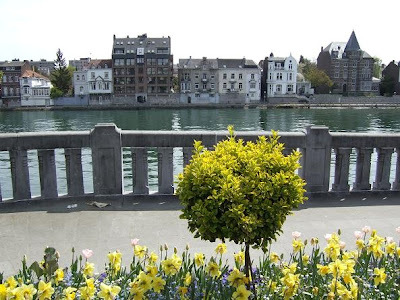 If you wish to see how they look on the inside you can visit one of the houses which is open for visitors. 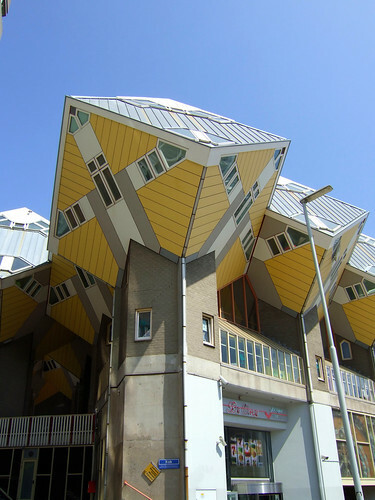 It's also possible to rent an apartment for your holiday in a cube house. 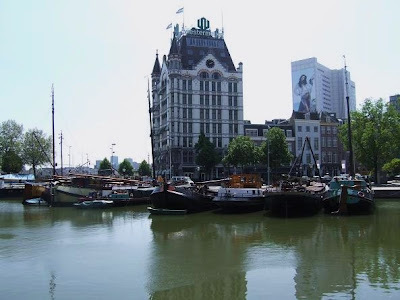 Location: Overblaak 70, 3011 MH Rotterdam, the Netherlands. 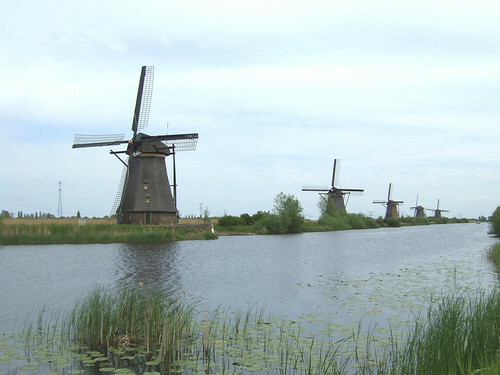 The 19 windmills in Kinderdijk are one of the best known sights in the Netherlands. 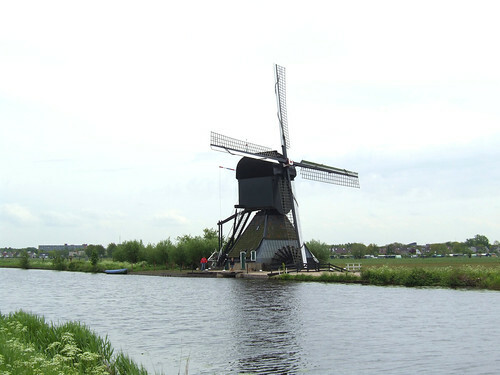 They were constructed around 1740 to drain the excess water from the Alblasserwaard polders. 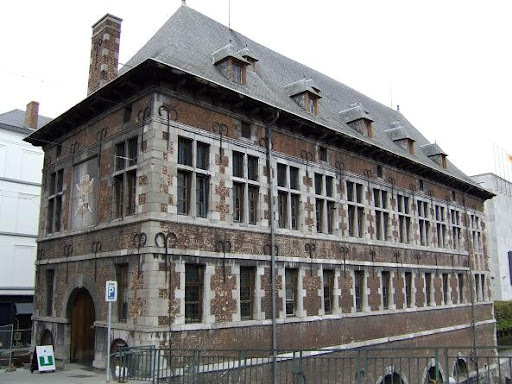 From the late 19th century this job has been taken over by electric pumps. 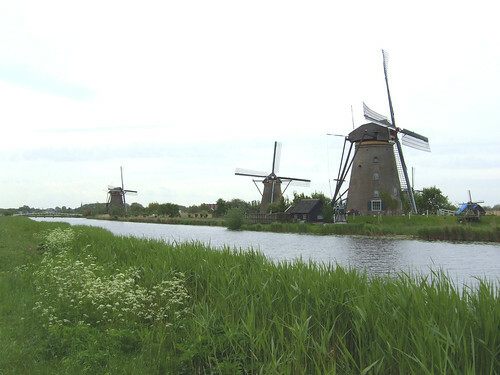 In 1997 the windmills of Kinderdijk were placed on the list of UNESCO World Heritage Sites. 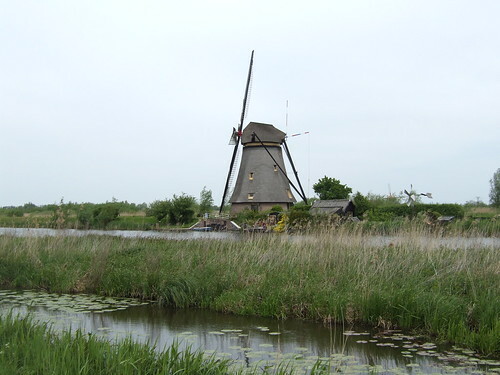 If the wind is strong enough you can see the mills in action on Saturdays in Juli and August. 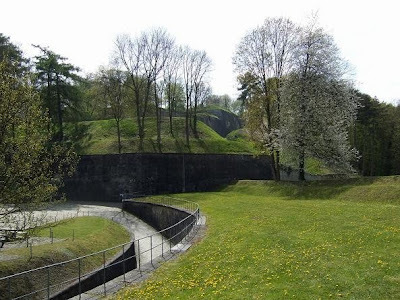 The visitor mill is open from the beginning of May until the end of October. 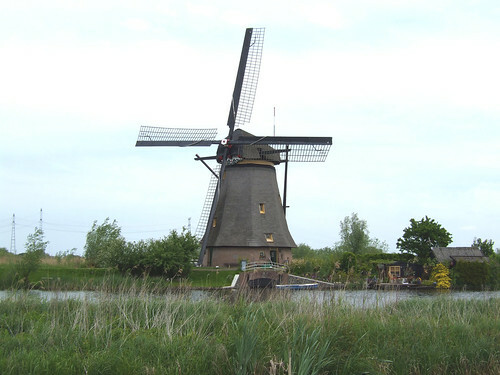 Location: Molenkade Nederwaard, Kinderdijk, the Netherlands. 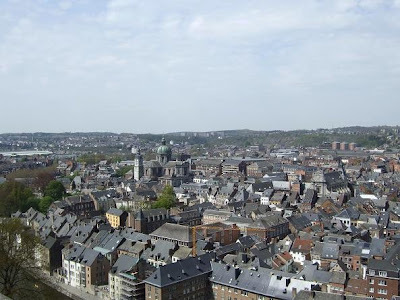 Beautiful view from the top of the Citadel in Namur. 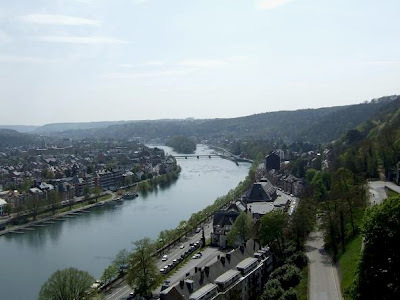 View location in Namur, Belgium. 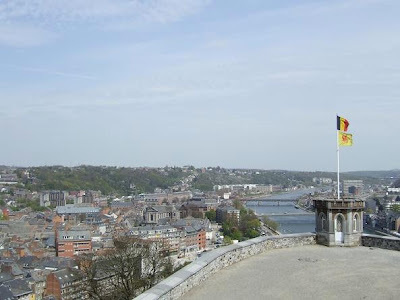 Beautiful view from the top of the Citadel in Namur . 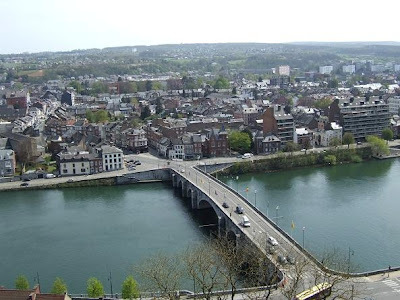 centre of Namur Jambes bridge View location in Namur, Belgium. 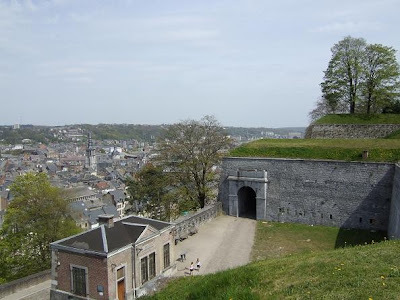 The Citadel of Namur is a mighty fortress located on the hill at the confluence of the Samber and the Meuse. 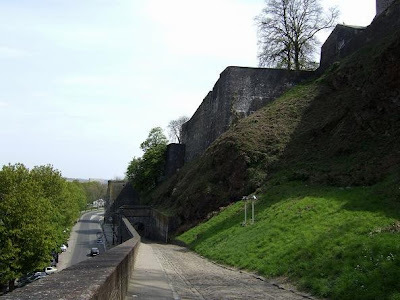 This site was first used by the Romans, who had a fortified outlook post here in the 3rd and 4th century, later the Counts of Namur built their castle here. 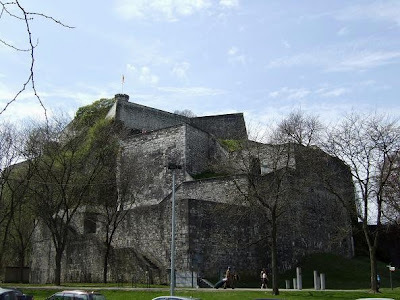 Between 1542 and 1555 a complete new Citadel was constructed by Charles V of Habsburg. 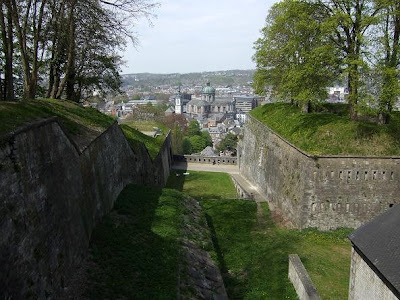 During the following centuries the Citadel was several times besieged, more fortifications were added and it became one of the largest fortified constructions in Europe. 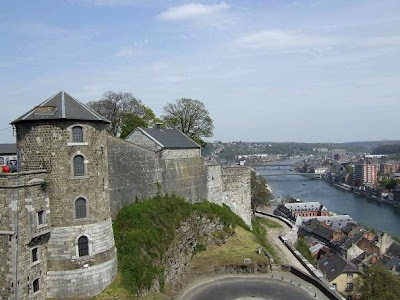 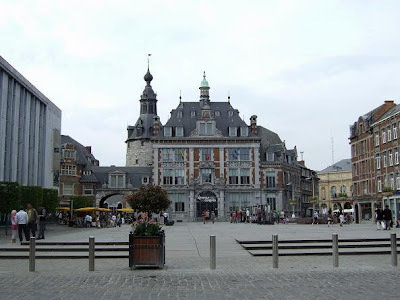 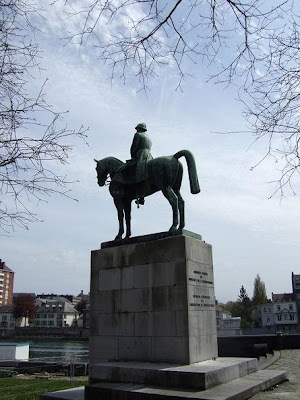 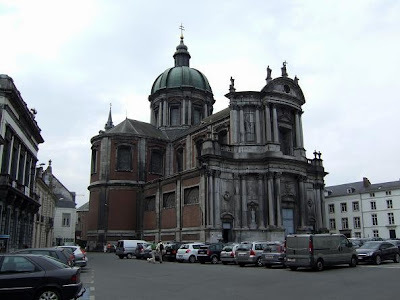 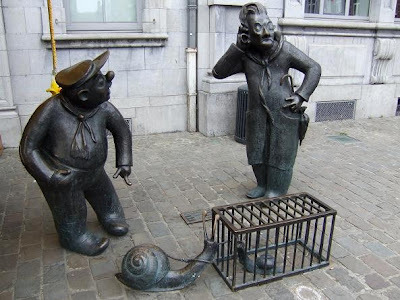 Namur is the capital of the province of Namur in Belgium. 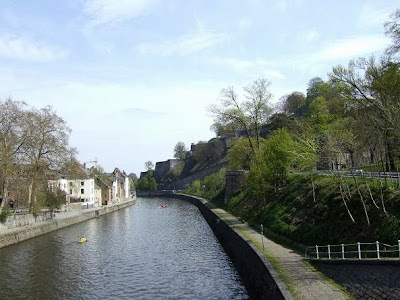 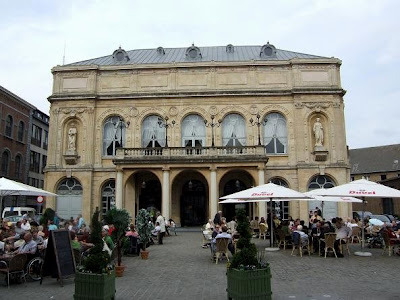 It is located in the Ardennes at the confluence of the Samber and the Meuse rivers. 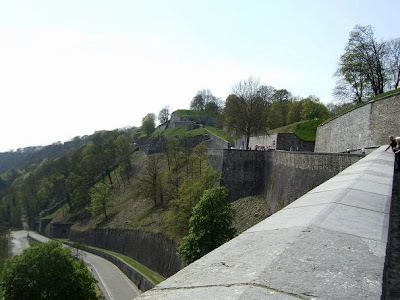 The most important and popular sight is the Citadel, one of Europe's largest fortresses. 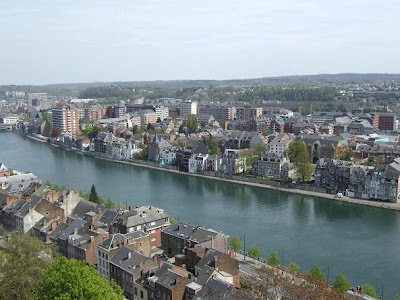 View location of Namur, Belgium.